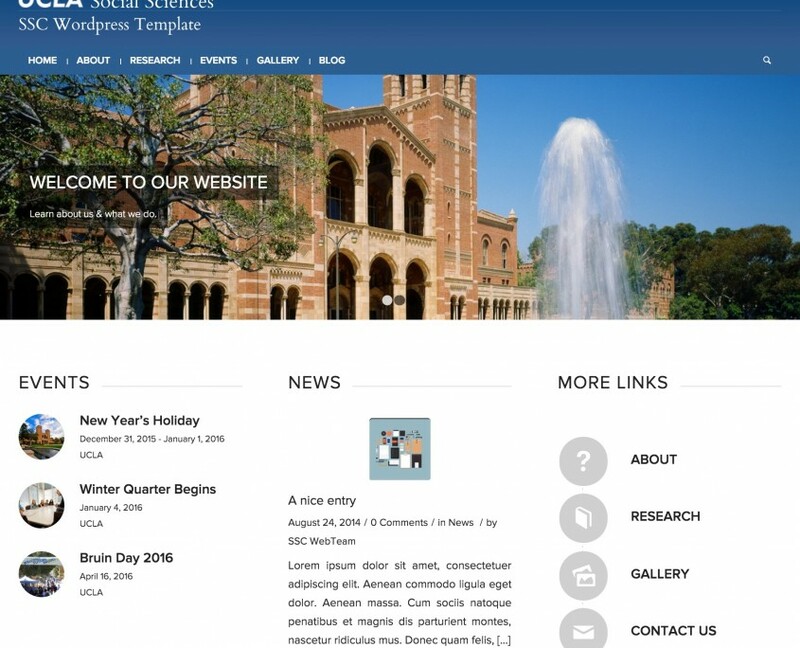 SSC WebTeam provides the UCLA Social Sciences division a range of web development and maintenance support. 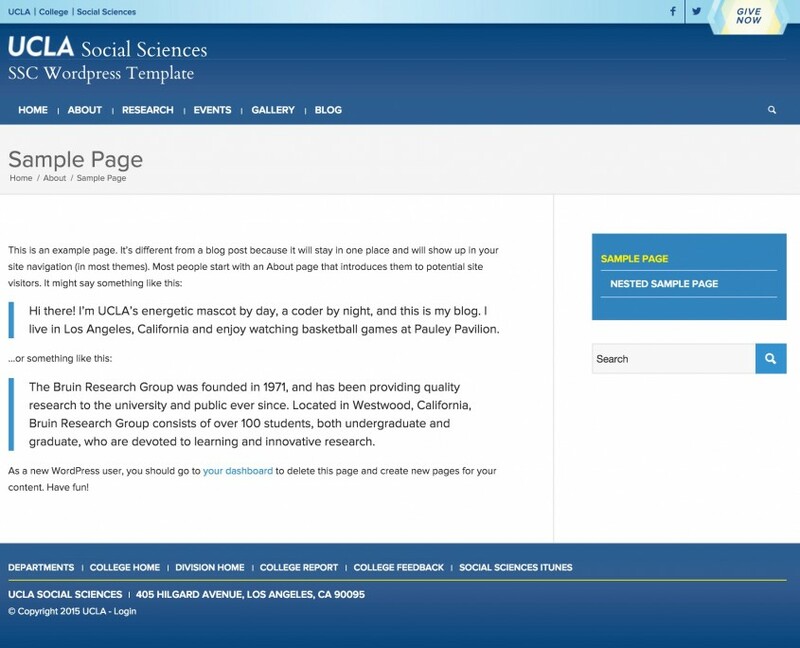 We simplified the process of building a presentable Social Sciences-branded, mobile-friendly website for faculty or groups requiring quick startup, intuitive content management, and streamlined support. Interested in a new SSC website? Need help with your SSC website? SSC WebTeam will manage creation and deletion of user accounts for the site. Any additional user accounts needed can be requested via this form. Users are responsible for maintaining their personal accounts and are fully responsible for all the activities that occur under the account. After initial provisioning, site owners will need to renew their sites with SSC on a yearly basis. Unrenewed sites will be archived and moved onto a static HTML server. Sites are provided on an “as-is” basis. Features and functionality will be curated by the SSC WebTeam. No additional module or themes will be installed. SSC WebTeam will not provide customization help outside of the tools already provided in the template. Site backups will be made daily. SSC will perform best effort data recovery in the event of lost content. If a site consumes more than 10% of the bandwidth/processing resources available on the shared server, SSC reserves the right to convert the site to static html. Sites will be limited to 2GB of file storage space.